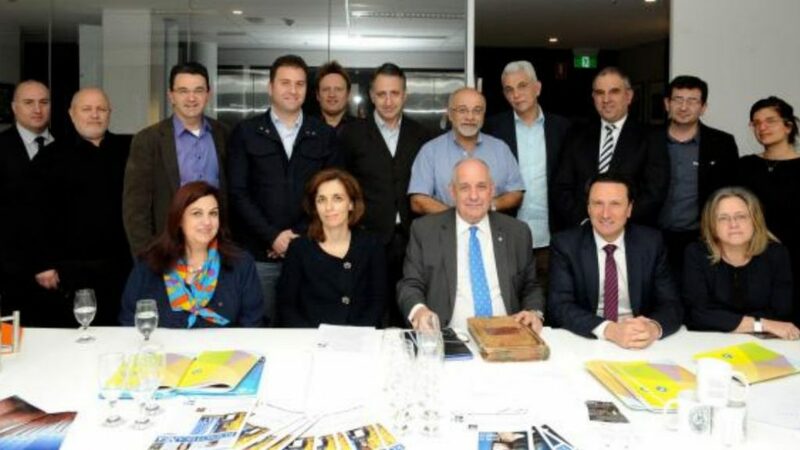 Deputy FM Terens Quick, during his visit to Australia, last year, with members of the Greek Community of Melbourne and representatives of Greeces diplomatic mission. Mr Quick acknowledged the efforts of the Greek Australian Communities in embracing the International Greek Language Day celebration. Deputy Minister of Foreign Affairs, Terens Quick sent a message to the Greek diaspora, on the occasion of the second celebration of International Greek language day. The idea for an International Greek Language Day had been pushed through the General Secretariat for Greeks Abroad with the cooperation of several Greek Diplomatic Missions, as well as Greek Associations and Communities. The idea gained the support of the Ecumenica Patriarchate Greek Orthodox and Archdioceses around the world, along with other cultural institutions and the Greek government, resulting to UNESCO moving last year to designate 9 February – the birthday of Greece’s national poet, Dionysios Solomos, as International Greek Language Day. “Today the Greek diaspora is joining us in joy, to celebrate throughout the world this day dedicated to our language, which is our own way to perceive not only life itself, but also participation to our common being as ecumenical citizens,” stated the Deputy FM. “The International Greek Language day will be one of the staples of the universal human community, a perpetual reminder that the Greek language always leads to the Greek texts, which offer testament of the Greek way of dialogue and coexistence, that is Reason, which gave birth to the universal values that still give meaning to the modern civilised world, the world of freedom and respect of human rights.